CAT® 10" Edgework Waterproof Wellington Work Boots You want comfort and flexibility at work? You got it. These Edgework Waterproof Wellington Boots for men are tough son-of-a-guns! 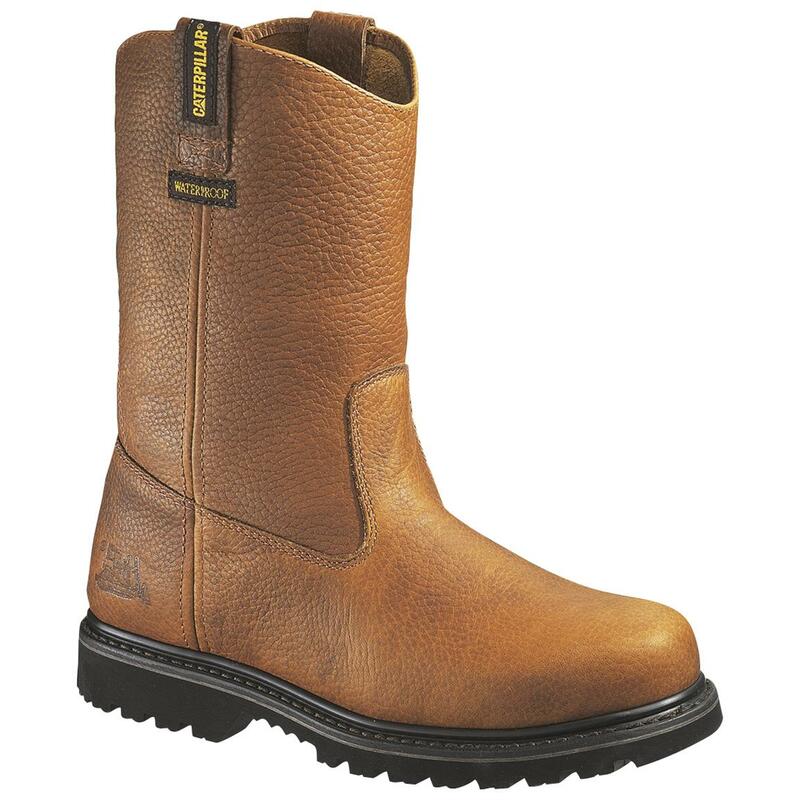 Superwelt construction means work boots with years of durability, and long-lasting full-grain mahogany leather uppers look great, too! And for times when the weather is ominous, you'll appreciate waterproofing throughout to keep your feet nice and dry. State Size, as available in the Shopping Cart. Get yours today!